Love flame grilled Portuguese chicken? From $5 Delivery Fee. No Minimum Spend. Get Oporto delivered to your door! Once upon a time, (it was the 80s) a mouthwatering aroma of herbs and chicken wafted over the Sydney’s most famous beach, Bondi. A young Portuguese immigrant yearned to bring the flavours of his homeland to the ravenous appetites of beachgoers. 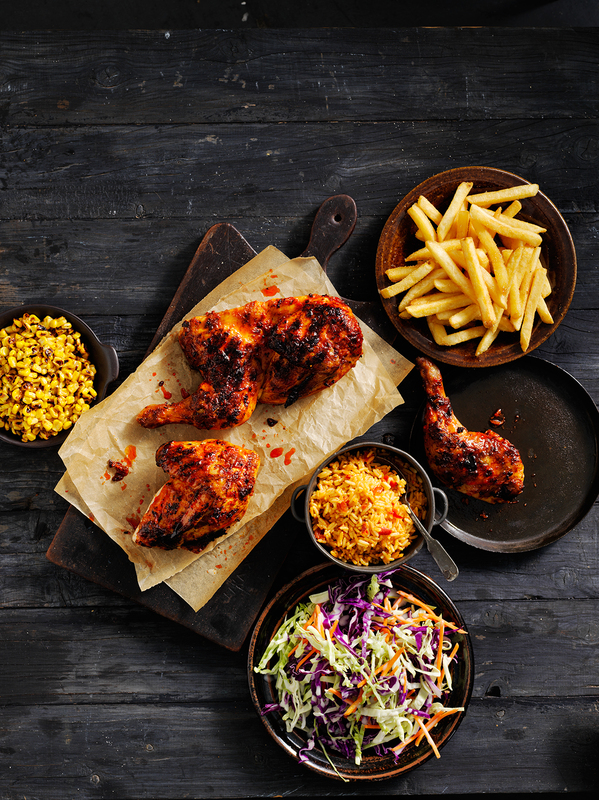 Before you could say, ‘charcoal chicken’ Oporto was born, creating a new addiction with their now famous chilli sauce. Soon after, a sun (the Oporto sun) was born - and franchised. When nothing can quite can hit the spot like a Portuguese-style chicken, there’s no need to stop what you’re doing when you can have anything from Oporto that you desire delivered to you. Imagine devouring the lip-smacking, succulent chicken, smothered in their famous chilli sauce without having to put a pause in your day. Menulog will bring your Oporto meal, hot and fast. While there is most probably an Oporto restaurant near you, imagine getting your Portuguese-style flame grilled chicken fix straight to your door?